After installing the dining space for work at the 2011 DIFFA Dining By Design, I went back to check out the other table designs. Diners would actually be eating at these spaces that evening. My favorite, aside from Area's of course, was the Coca Cola table complete with their own classic Navy chairs made of recycled aluminum and recycled plastic. Even their dinnerware was made from Coca Cola glass. 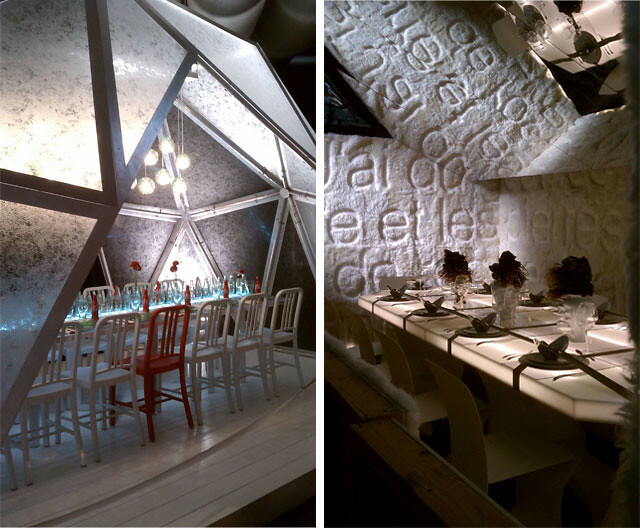 The D'Apostrophe dining space inspired by the work of David Wojnarowicz was pretty interesting as well. Aside from a lit table and furry walls, there were mirrors angled up above. I wonder what it's like eating with everyone watching. 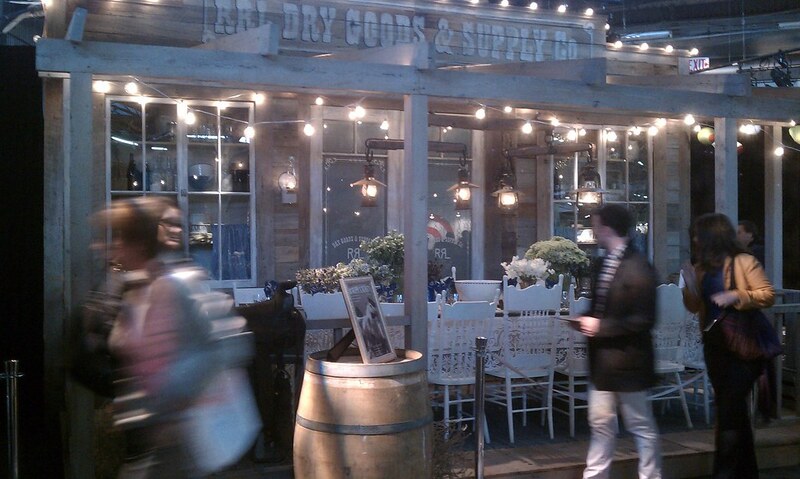 The other structured dining space I liked was Ralf Lauren's. It feels like you're dining alfresco. 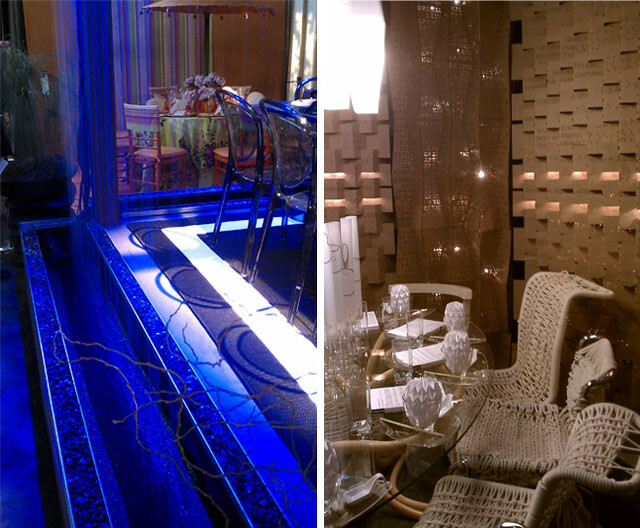 The winner amongst the professional designs was the platformed dining space surrounded by sheets of falling water giving the diners the experience of dining in a "twilight summer rain" by Evette Rios for Hayneedle. The winner among the student designs was my alma mater, Pratt Institute mentored by Alfredo Parades. The structure was made of interesting patterns of cardboard, the chairs were wrapped in rope, and the decorations were made out of paper.